Somewhere in the recesses of your mind you know you should be checking your vehicle’s tire pressure. In my world, this is one of those life maintenance tasks that loiters in some dark corner of my brain but only surfaces when I feel my vehicle’s ride is off. Imagine my surprise at learning I should be gauging tire pressure every month! And not only monthly, but seasonally (cold weather can decrease tire pressure by up to 10 pounds per square inch! Who knew?!). 1. Too much air equals less of your tires touching the road. Lowered surface area means you’ll need more room to stop. It also means you’re in for a bumpy, bouncy ride. Remember what happened in elementary school when you overfilled your red rubber ball? Yeah, it became a rocket when you bounced it during Foursquare. 2. Too little air in your tires leads to more surface area touching the ground. The result can be overheating and, ultimately, a blow-out. You know it’s time to pump those babies up when your tires squeal around corners. 3. Use your owner’s manual. 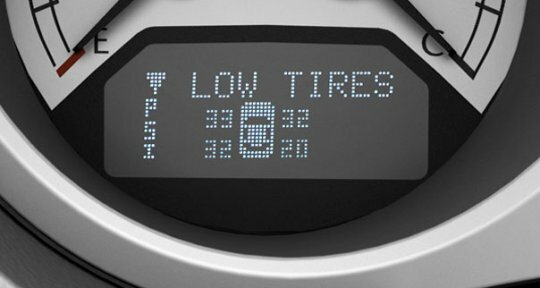 It should tell you where on your vehicle to find the proper tire pressure (don’t go by the notation on the tires – that’s maximum tire pressure, not recommended tire pressure). 4. Invest in a tire gauge. 5. Check every tire. Driving with unbalanced tires can lead to a whole other set of problems. And if you have any questions, give one of Butler’s Service Centers a call. You’ll find a list of locations and phone numbers at www.butlerman.com/service-and-parts.htm. « Driverless Cars: Sci-Fi or Imminent Reality?